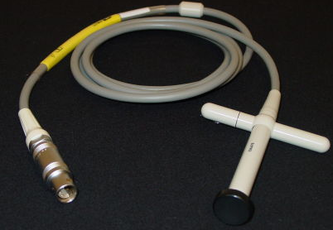 The HP 21228A (CW) is a non-imaging ultrasound transducer probe. This transducer has a frequency of 1.9MHz and is compatible with the Sonos 4500 & Sonos 5500 series ultrasound systems. The HP 21228A is in used condition and available for purchase from Providian Medical in fully refurbished condition. Submit the form below for your free Ultrasound Probes price quote! Fill out our simple form and our team will return a quote to you within 24 hours. For faster service, call us now at 877-661-8224. There is never any obligation. I want a free price quote on the HP 21228A (CW), send it today!